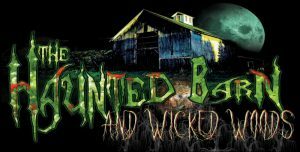 The Haunted Barn WI is a Haunted Attraction located in Stoughton, WI. This place had amazing actors and the scenes were great and very detailed! I’m a grown man and I …show more jumped and yelled a few times!! I’ve been to a few haunts in the area and this one was the best!! Family run and owned! Love that it is completely new every year, so you are always in for new …show more surprises! Love all of the young actors as well, gives it an extra eeery experience!